We believe our core values of integrity, client satisfaction and innovation differentiate us from our competitors. Our focus on developing and maintaining a measurable client satisfaction program has created a company culture where each of our associates delivers world class service every day. Our dedicated and highly experienced staff designs, engineers, finances, installs and maintains solar systems for homes and businesses. We handle all permits, rebate processing, and administration providing a simplified solution. Our staff are experts at creating the right financial solutions based on your specific needs. We help ensure that you will receive full advantage of all available government incentives and guide you through the financing options that best suit your objectives. When you couple the proven financial returns of solar energy with the environmental benefits, the case for solar becomes compelling for any home or business. As a local Massachusetts company, Bay State Solar Solutions is committed to providing our customers with the most effective solar energy systems available. We strive for exceptional customer satisfaction and service. We believe that as a local company, with a focus on employing a local workforce and bringing excellent customer service to local communities in Rhode Island, sets us apart from our competitors. Our innovative and comprehensive approach to delivering total solar energy system experiences for our customers shows our culture of world class service. 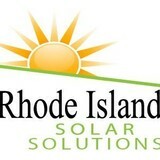 There are many benefits to installing a solar energy system, including reducing or even eliminating your energy costs. You’ll also be hedging against skyrocketing energy costs and increased property values. In most cases we can offer financial solutions that will reduce the cost of installation by 50% or more. 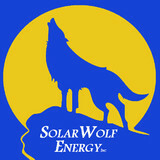 For your solar energy system, get it right, get it local! Along with off-grid solar, wind and hybrid energy systems that include batteries and backup generators, there are also grid-tied solar and wind operations. Grid-tied systems are attached to your Watertown, MA utility company so if you produce more energy than you use, your meter goes down and you build up energy credits. 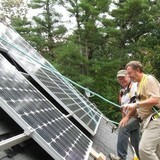 Find solar energy contractors in Watertown, MA on Houzz. Search the Professionals section for Watertown, MA solar energy contractors or browse Watertown, MA photos of completed installations and look for the solar energy contractor’s contact information.